Charters are more cost-effective than you might think, often costing less than standard airfare. When you are travelling in a group, or need to move a lot of cargo, a charter flight is the perfect solution. Travel on your terms – with a charter, everything is up to you. Are you tired of waiting in lines, the uncertainty of knowing just how much luggage you can take, and the hassle of stopping everywhere you don’t need to? You shouldn’t have to wait around. When you have places to be, it just makes sense to charter an aircraft. Nothing beats plush executive seating, room for specialty cargo, and no security screening. Imagine no lines to wait in. Imagine flying on your own schedule. Imagine flying where you want, when you want, with the people you want. Contact us today for a free charter quote! 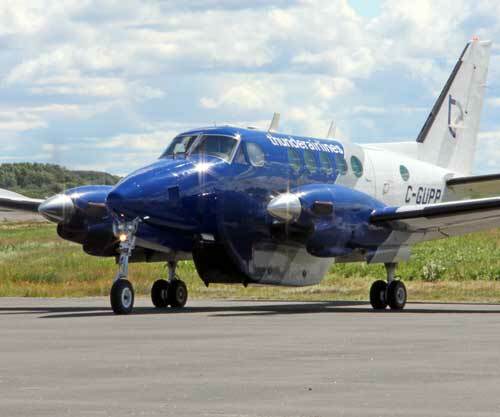 The Beechcraft King Air 100 is a great all-purpose aircraft with a rich history. It can carry plenty of cargo, comfortably seat 9 passengers in its pressurized cabin, and cruise at 385 km/h. The King Air can be set up with 9 standard seats, 7 executive seats, or even have individual seats removed to make room for extra cargo. Powered by two Garrett turboprop engines, the Mitsubishi MU-2 is one fast bird, clocking in with a cruise speed of up to 500 km/h. 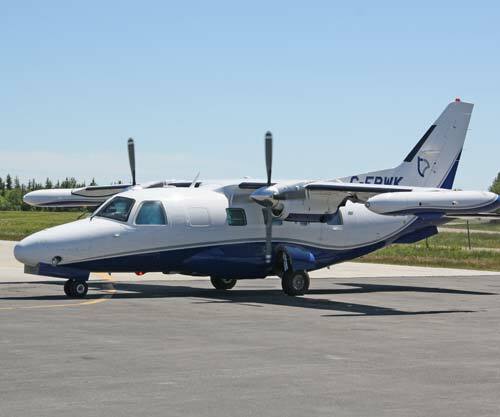 Although Thunder Airlines uses the MU-2 mainly for medical patient transfers, it is also used for charters of up to seven people when time is of the essence. 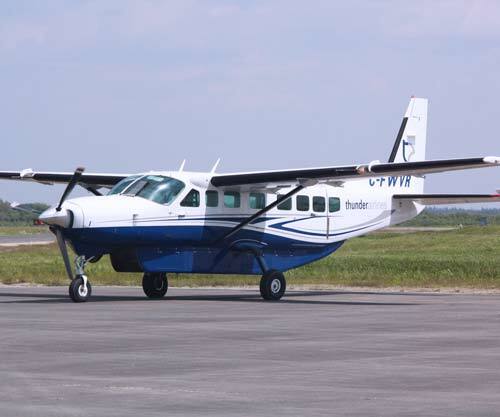 The Cessna Grand Caravan is truly a workhorse that can be relied upon to get the job done. It is specifically designed to fit plenty of cargo of all shapes and sizes and lift it to your destination. Its large, roomy interior can also accommodate up to 9 passengers. Thunder Airlines uses the Caravan for most of its cargo shipments and specialty charters. Get updates on flight sales, new routes and all the things we can do to make your travel easier. © 2019 Thunder Air, All rights reserved.